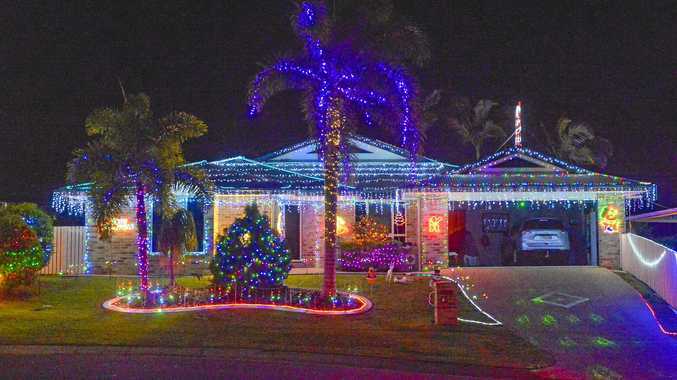 WITH only three sleeps until Christmas, the Gladstone Region is beginning to shine bright with Christmas spirit. Light displays are brightening the skies with blues, reds and greens as houses are dressed up with fairy lights, rope lights, LED's and Christmas Statues. Oh, and there's plenty of inflatable Santas too. Families have been out and about driving the streets to visit the displays, with plenty of opportunity to jump out and walk through the Christmas wonderlands. Notable mentions go to homes at Jackson Court, New Auckland where the whole street is lit up, as well as 10 Glen Eden Drive, Glen Eden where the owners have gone all out.